It is always essential to have a nice and attractive lawn. An attractive lawn will not only increase the value of your home, but it is also good for the environment. 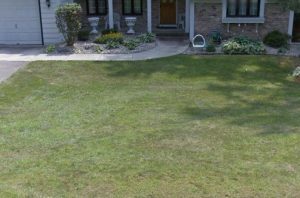 Minnesota homeowners understand the importance of a well-maintained and beautiful lawn, which is why they always call our company for their sod installation in Minnetonka. We are professionals in the turf grass industry. We are a family owned and operated company with over twenty years of experience. We thrive on providing exceptional customer service and quality craftsmanship. We have a wide range of services to meet the needs of our Minnetonka customers. If your lawn has lost its luster and appeal, then contact us today and we can guarantee that after our turf services you will be proud of your lawn again. We can also work on sections of your yard and reshape your landscaping to fit your design needs. Minnetonka is located eight miles of Minneapolis. The city has a population of 49,734. The name of the city means “Great Water”, which is a name from the Dakota Indian Tribe. The first settlers to the area that was recorded was in 1822 and that was European settlers. The city has a rich history that dates back to the early 1800’s. The Charles H. Burwell House was built in 1883 and it is currently a museum. Charles H. Burwell was the manager of the Minnetonka Mills Company. The Minnetonka Mills Company produced 300 barrels of flour each day, but the mills closed down three years later due to growing competition. Visitors can visit the Charles H. Burwell House and see all the exhibits, displays, and learn about the history of the city. The city has two public beaches where visitors can enjoy swimming, water sports, or just relaxing on the beach. These beaches include the Shady Oak Beach and the Libbs Lake Beach. There are lifeguards on duty, and these beaches are a great place to spend the day. During the winter months visitors can go to the skating rinks. The outdoor skating rinks have warming houses, and hot cocoa can be purchased. The outdoor skating rinks are the Boulder Creek, Covington, Glen Lake, Meadow, and Spring Hill. Going ice skating outdoors will be fun and exciting for the entire family. During the summer months the Civic Center Campus hosts live performances at the outdoor amphitheater and movie in the park on Saturday evenings. These activities are free and a great way to just sit back and unwind from a busy day in the city. Deer Creek Turf is the sod and turf provide that homeowners in Minnetonka contact for all their landscaping needs. Contact us today and let us turn your drab lawn into a beautiful one. 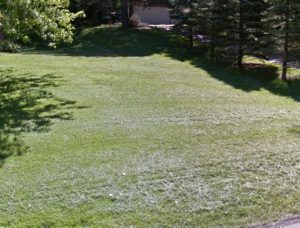 If you want more info on our work doing hydroseeding in Minnetonka, you can bookmark this page and visit again soon. A few months ago we got a call from a homeowner that wanted to move some of their landscaping to a new area in their yard. We told them that we are an experienced Minnetonka sod company. They needed the plants moved to a new area with a surrounding mulch area. We let the homeowner know that they called the right company, then we scheduled the project for a time that worked well with the homeowner’s availability. Our landscaping experts arrived at the Minnetonka home bright and early on the day that the homeowner requested. Our landscaping crew was thrilled that the day would not be too hot, and that no rain was in the forecast, which was a perfect day for landscaping. The homeowner showed the crew where she wanted her plants moved and our crew went to work immediately. The crew began digging out the new area for the plants. The crew made sure they dug the same depth for the new hole as the previous one where the plant was located. The crew then carefully dug up the plants. They made sure that they didn’t hit any of the roots of the plants, then they carefully transferred them to their new location and home in the area where the homeowner suggested. The crew did the same process for the shrubs that needed relocating, too. Once the crew had successfully replanted and transferred all the plants and shrubs they began placing the fresh mulch around them. We brought the mulch, dug out the new area, transplanted the shrubs and placed the mulch, then the crew resodded the old landscaping area. When the crew was completely finished with the work they were all pleased on how the entire landscaping turned out. The plants and shrubs would grow great in the new area that the homeowner wanted. The homeowner was thrilled at their perfect looking yard when we were finished and our crew let her know that we only use fresh mulch, so the homeowner would not have to worry about any bacteria or insect contamination with her mulch. We are the only fresh mulch delivery in Minnetonka and our customers only receive the finest mulch available. Our crew cleaned up all the debris, then let the homeowner know that if she needed any additional landscaping services done to just give us a call. We provide each of our customers with the best products and services available. We cover all landscaping needs and services. The homeowner was still smiling when our crew was pulling away and our all of our crewmembers said that they were happy that they were able to provide excellent service to another happy homeowner in Minnetonka.